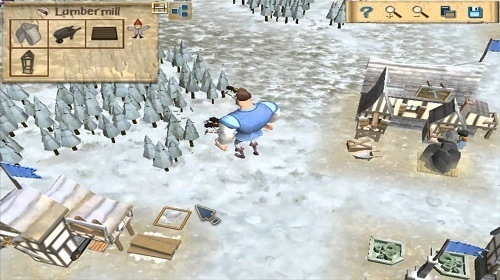 A Kingdom for Keflings is predominantly a city builder developed by Ninja Bee that was released on the Xbox 360 in 2008 with a PC release several years later. In the game you’ll take control of a giant in the land of Keflings. These Keflings are based on humans but are much smaller resembling gnomes or something similar to Hobbits from Lord of the Rings. Players will find that A Kingdom for Keflings combines aspects of SimCity with The Sims series to create a life simulation and building hybrid that is packed with content and extremely addicting. Your task in a Kingdom for Keflings is to manage their kingdom. 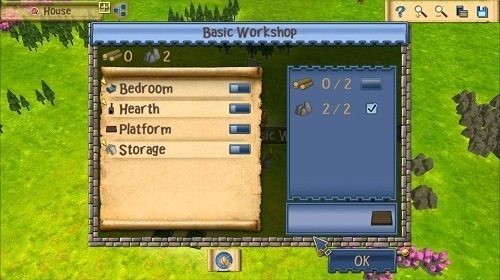 Players are put in charge of managing resources, the happiness of their Keflings and buildings in the kingdom giving you a large amount of control over how your Keflings live out their lives. You are able to choose from one of four different characters to start the game with (each offering their own stats) or you can play as your own Xbox Live avatar. The core objective of the game is complete a castle and thus finding a King/Queen from the Keflings so that they can manage themselves. Although once you’ve completed this goal the game doesn’t end allowing players to play on indefinitely. Multiplayer is also available in the game allowing up to four players to take control of a single game world. A Kingdom of Keflings has also had two DLC releases (known as Kingdom Pack 1 and 2) which add additional kingdoms for the player develop each with their own unique setting. These additional kingdoms are also harder than the original giving fans of the series a great challenge. If you are a fan of city building (SimCity) and controlling the lives of simulated characters (The Sims) you’ll be at home with the mix that A Kingdom of Keflings offers. Play giant and direct the lives of the Keflings. Create the ultimate kingdom, complete with castle. Multiplayer support for up to 4 players. DLC content adds more kingdoms to explore. Mixture of simulation, sandbox and city building.